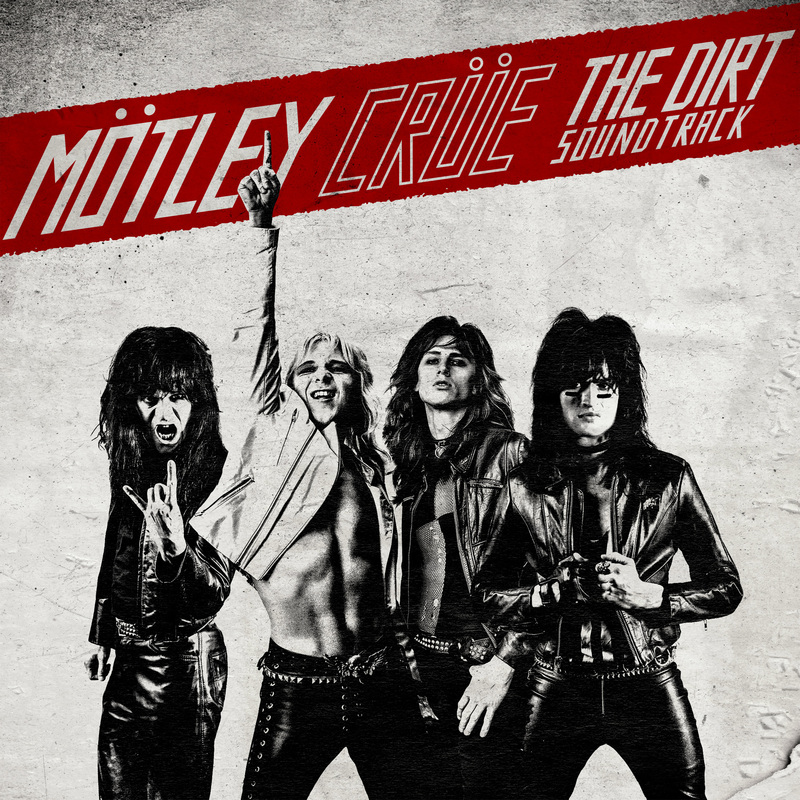 The world’s most notorious rock band Mötley Crüe release The Dirt Soundtrack out today onMötley Records and E7M (Eleven Seven Music) / Sony Music Australia to coincide with the band’s biopic, The Dirt, streaming on NETFLIX (at 6pm today) based on their New York Times bestselling autobiography with Neil Strauss. The soundtrack is available digitally, on CD and vinyl HERE plus your chance to win a Limited Edition guitar signed by Nikki Sixx when you purchase and enter HERE. Mötley Crüe kicked off release week as NASCAR Grand Marshals giving the famous command, “Drivers, Start Your Engines,” followed by the song,“Kickstart My Heart” to begin the first race at NASCAR Auto Club 400 on March 17. In anticipation of the soundtrack and film release, the band revealed an exclusive painted mural by Los Angeles based artist, Robert Vargas at The Whisky a Go Go HERE on the iconic Sunset Strip. The world premiere of The Dirt was held on Monday, March 18 at The ArcLight in Hollywood with the band and cast in attendance. Hailing from Los Angeles, CA, the quartet—Vince Neil (vocals), Mick Mars (guitars), Nikki Sixx (bass), and Tommy Lee (drums)— has commandeered the rock pantheon for 38 years. They’ve accumulated worldwide album sales exceeding 100m, 7 platinum and multi-platinum albums, 22 Top 40 mainstream rock hits, 6 Top 20 pop singles, 3 GRAMMY nominations, 4 New York Times best-sellers and even landed a star on the Hollywood Walk of Fame. Known for their iconic live performances, they’ve sold-out countless tours across the globe in front of millions of fans with groundbreaking production highlights such as Tommy Lee’s, Crüecifly-Drum-Rollercoaster and Nikki Sixx’s Flame-Throwing-Bass. The band concluded their extensive two-year final tour in 2015 after 165 shows across 5 continents, grossing over $100m. The band’s music is frequently licensed by major household brands such as KIA Motors, Dodge, Coldwell Banker, NASCAR, Carl’s Jr. and many more. In 2019’s Super Bowl, “Kickstart My Heart” was featured on Planter’s Nuts’ commercial and “Home Sweet Home” in Animal Planet’s Puppy Bowl commercial where the band donated their fee to support animal rescue.